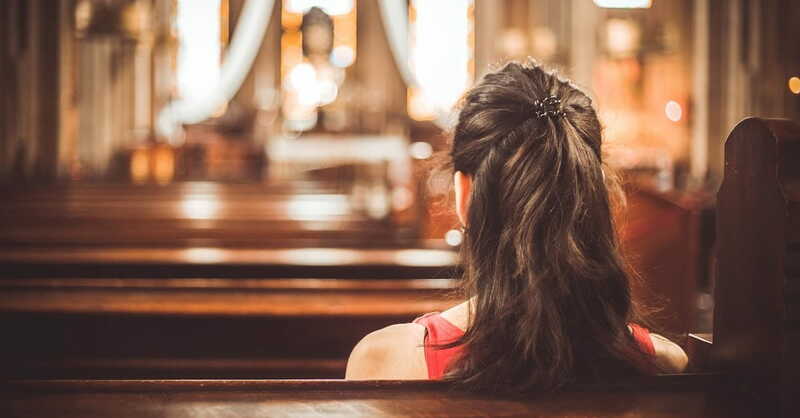 Many of us have been the lonely one in a church at some point or another. Perhaps you’ve sat in the church parking lot, trying to muster up enough courage to step out of the car. Or walked in nervously, unaware of where to go and wandering through the hallways to find the sanctuary. Or perhaps rushed out back to the safe familiarity of your car as soon as the service was over. If this has been you, then you understand what many across the world experience every weekend. In churches all over the earth, people are showing up to a church for the first time. We must be aware of these people; eager to welcome them in and help them feel as comfortable as possible. Truth be told, if someone is in a church and feels lonely for very long at all, chances are they won’t return. People need to feel connected and part of a community. You can help be a facilitator of that, and indeed, should be. 1. First and foremost, be aware. When Jesus was passing through Jericho in Luke 19, surrounded by a large crowd of people, he could have been distracted. He could have been so focused on those right in front of him that he would have missed Zacchaeus, the tax collector up in the tree. But he didn’t miss the small man among the mob of people; he saw him from afar and made a point to connect with him, forever changing Zacchaeus’ life. It’s easy on a Sunday to grab coffee, sit in your usual seat, and chat with friends without noticing an unfamiliar face. Yet if you are to usher in the lost and lonely into your church next Sunday you must be alert and intentional. Don’t wander through your church without being aware of those around you; notice the faces that aren’t familiar. Smiles go a long way. They convey warmth and have the ability to turn a person’s day around. When you offer up a smile to someone, you’re extending to them kindness. Perhaps a kindness they haven’t encountered in a while. It will help allow the lonely person to let down their initial guard or at least feel like you are someone they can engage with. Start with that and you can’t go wrong! Lonely people don’t usually engage first, therefore, you should be willing to engage. It’s not always easy to walk up to a stranger but that one decision can impact a person’s life dramatically. Exchange a handshake and your names, ask a little about them, and offer a little bit of information about you. Connection is an exchange of knowledge from both parties. Have the courage to walk up and engage with someone who seems lonely. This may, in fact, be the single most powerful thing you do that day. 4. Invite them to join you. If the person you see is indeed lonely, chances are they don’t have someone to sit with. That can be an intimidating thing and perhaps enhance the loneliness as he or she glances across the room and sees people in community all around them. When you’re engaging with the lonely invite them to sit with you. This could significantly change their church experience. When the service is over offer to show them around. Give them a tour of the facilities so they feel more comfortable next time they visit and introduce them to your friends so they recognize some familiar faces. It may mean pushing back lunch 30 minutes but think about how meaningful it will be for the other person. Imagine if you were in their shoes and someone did that for you! 6. Offer to meet them at church next week. Chances are high that if invited to meet you again next week that person will return. Ask if they’d like to meet you in the church lobby next week and sit together again. Be sure to remember their name as well! Engaging with the lonely church-goer is an important part of living in community with others--in being a part of the body of Christ. Don’t wait for someone else to make the first move; if you see the need then meet the need! God is calling all of us to be a catalyst for community, so take action next time the opportunity presents itself and allow God to use you in taking a lonely-church goer from alone to known. Brittany Rust has a passion is to give encouragement to the world-weary believer through her writing, speaking, and podcasting. She is the author of Untouchable: Unraveling the Myth That You're Too Faithful to Fall, founder of For the Mama Heart, and hosts the Epic Fails podcast. Brittany, her husband Ryan, and their son Roman make their home in the Rocky Mountains, pursuing outdoor adventures, great food, and memorable stories together. Learn more at www.brittanyrust.com.